I am still here, really. Just a bit sleep deprived and in that new baby daze. 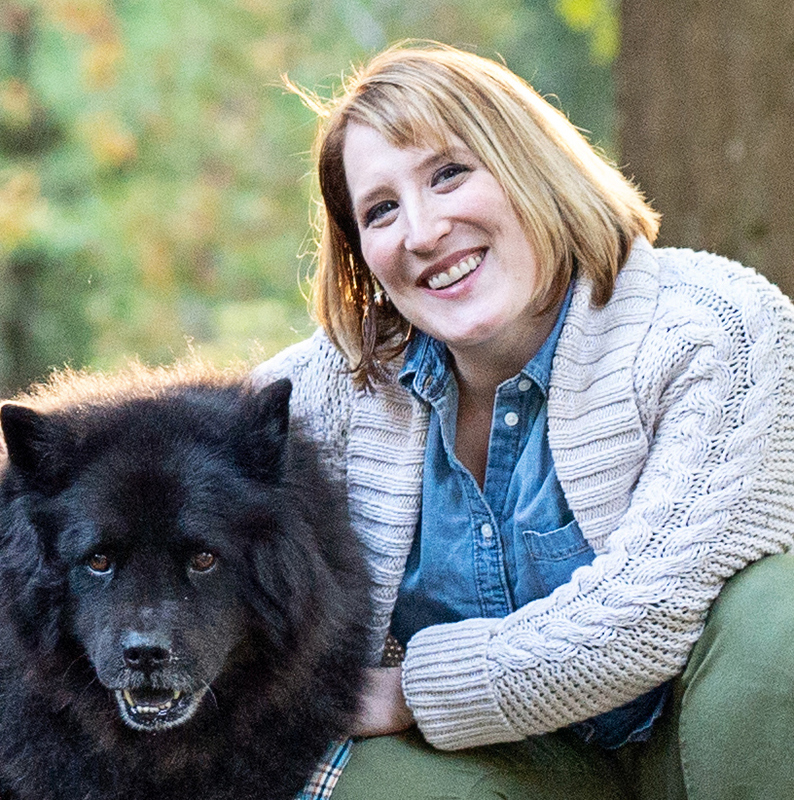 You know what feels like a super fun outing with a new baby? A trip to Target! With my baby napping away in the carrier, I was able to browse just a little and guess what I found? The perfect vignette for mantle or table for the High Holidays. Pomegranates have special symbolism in Judaism and are often associated with the new year in particular. Now I had hoped to get this posted in time that maybe you could have used it for Sukkot but alas, baby mode got in the way. But don’t let that stop you, these are still available at Target and would still look great for fall, Tu B’Shevat or to be set aside for 5777. 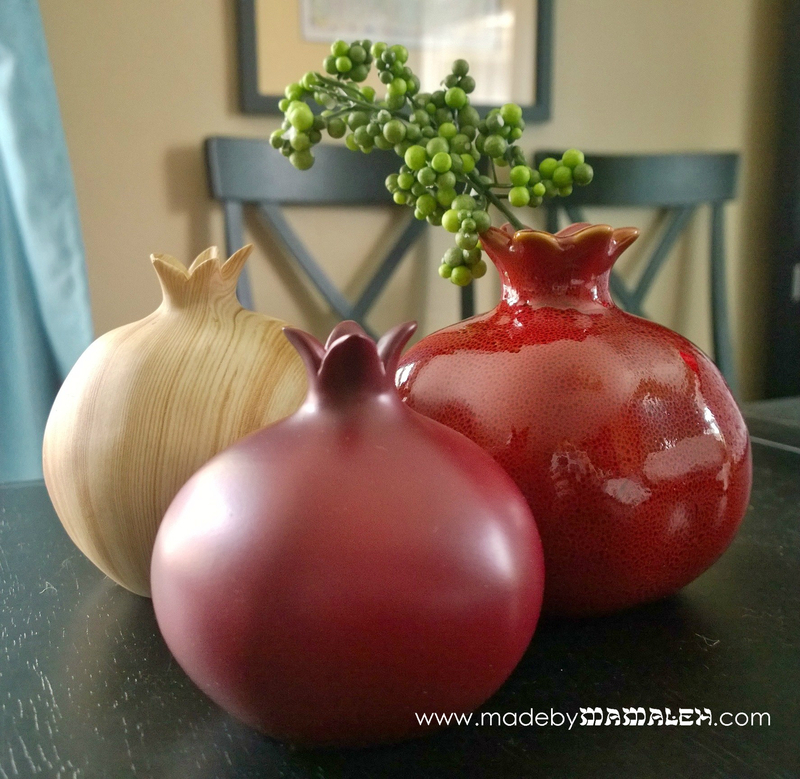 The contrasting textures of the ceramic pomegranate (which has a small opening so you can put a single stem in some water), the solid red one and the wood grain are really fun. And thanks to my slowness in posting, they are now on clearance so be quick in your shopping! 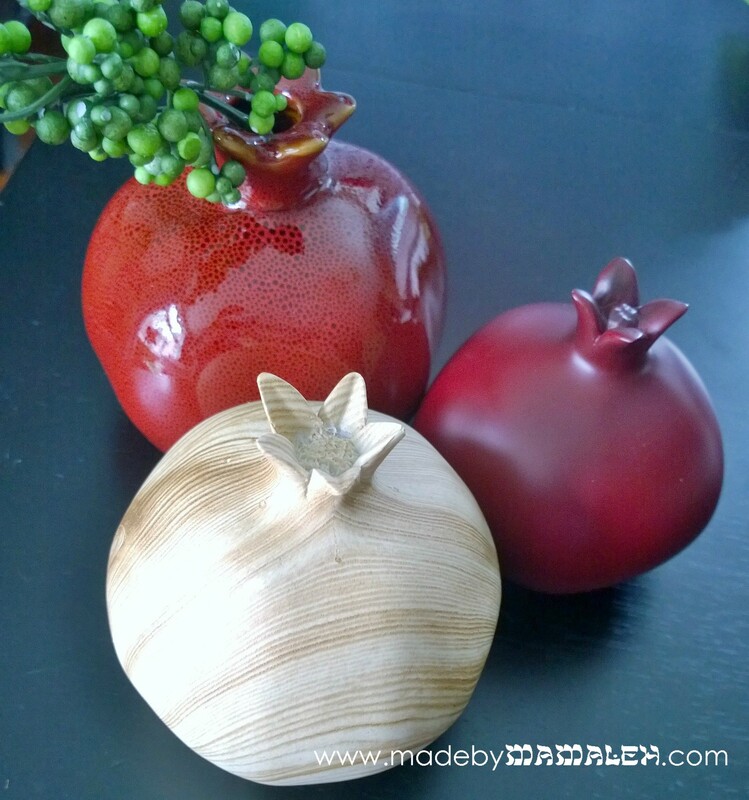 I just spotted some similar figs (also a very Jewish symbol) on sale too so maybe I’ll have to honor Tu B’Shevat a bit more this year with some decor. Hope to be back again soon (pray for some good napping) with some extreme baby cuteness and a tutorial on how to add a little Hebrew to your birth announcements! Stay tuned! Tu B’Shevat is one of those Jewish holidays that many of us probably don’t even realize is happening unless we are looking at our Jewish calendar or have kids in religious school. 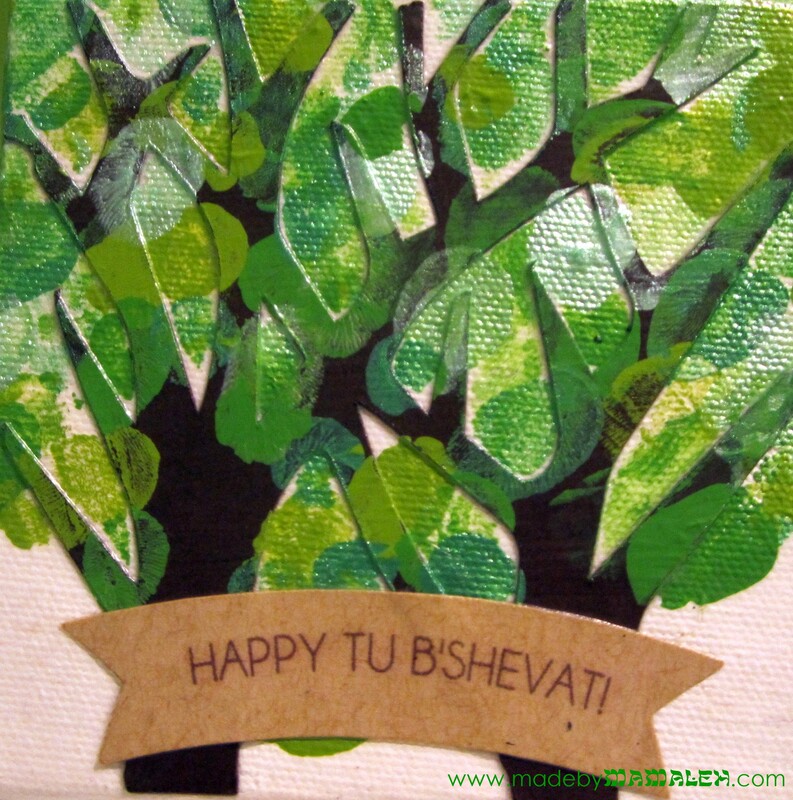 A minor holiday, literally the 15th of the month of Shevat, Tu B’Shevat celebrates the New Year of the Trees. (And, just a little known fact, it’s actually one of four new years observed on the Jewish calendar. In Israel, Tu B’Shevat is much like Arbor Day in the U.S. and is marked by the planting of trees and ecological awareness. In Jewish tradition, Tu B’Shevat is often marked with a seder (or ritual meal) where fruits and nuts symbolic of Israel are eaten. For the first time in my life, we’re actually talking about Tu B’Shevat in our house: My son’s Sammy Spider calendar has a nice recipe for trail mix and a picture of a tree. His preschool class is having a seder. We’ve been reading our PJ Library books about the holiday. Our temple’s Young Families’ group (of which I’m co-chair) is having a special brunch. So, with all of that going on, I felt like we needed to make a little something since what’s a holiday without a little a decoration. I wanted something kid-friendly to make yet also polished enough to sit out on my mantel and look sharp. A while back, during one of my craft store runs (probably Michael’s), I came across these cute mini canvases and got a couple of sizes as well as a mini easel, thinking that they’d be great for changing holidays/seasons. 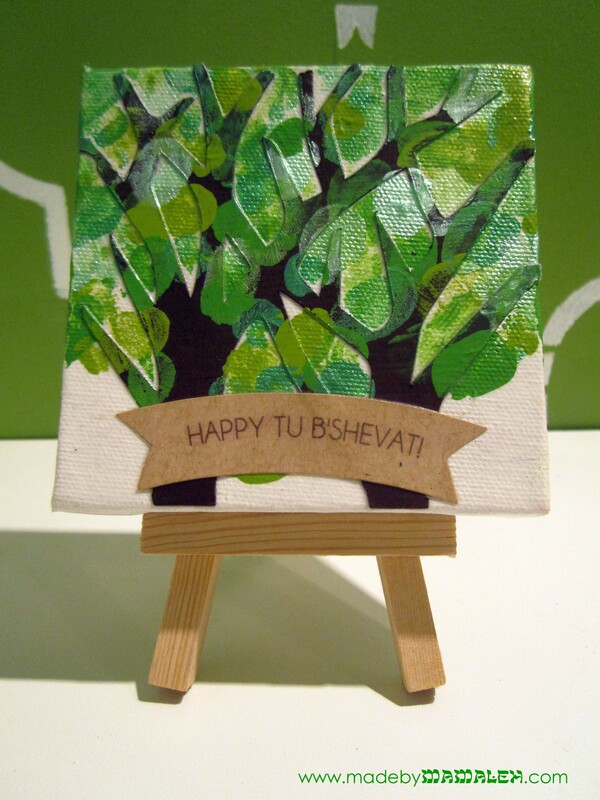 So, I decided to take the 4×4 canvas and create a little mini Tu B’Shevat art with my son’s help of course. First step was to find just the right tree in the Silhouette Online Store to cut out with my Cameo. 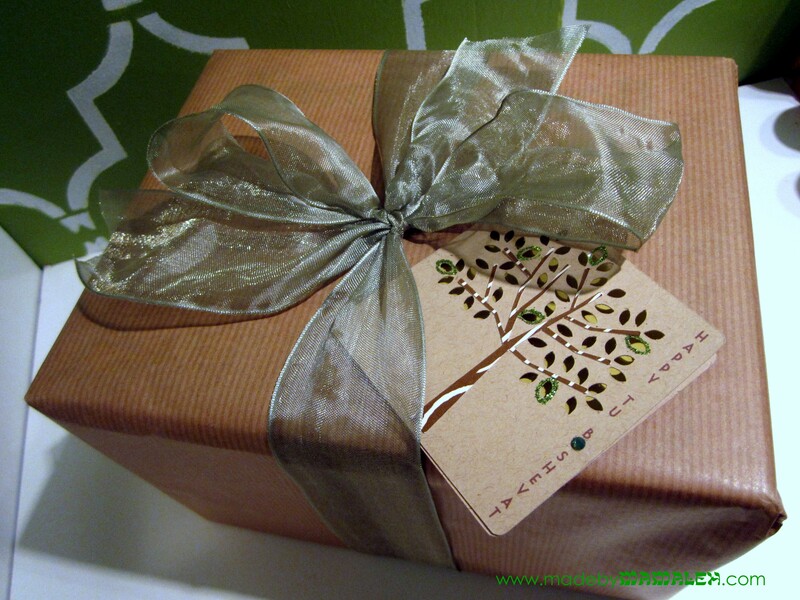 Now, if you don’t have a die-cutter, don’t worry, I am sure you could easily find a pre-cut tree at the craft store or you could freehand one with scissors or an exacto. I chose this tree branch lace and then using Silhouette Studio I erased the edges and size it to fit my canvas. Next, I cut it out of Paper Trey Ink Dark Chocolate cardstock. 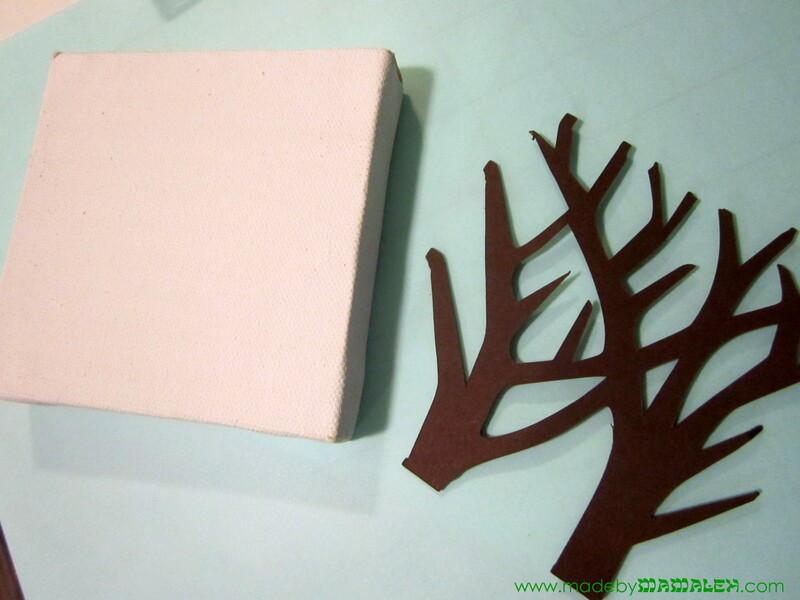 I then coated the mini canvas with Matte Mod Podge using a foam brush and applied the tree, trimming the edges as necessary. 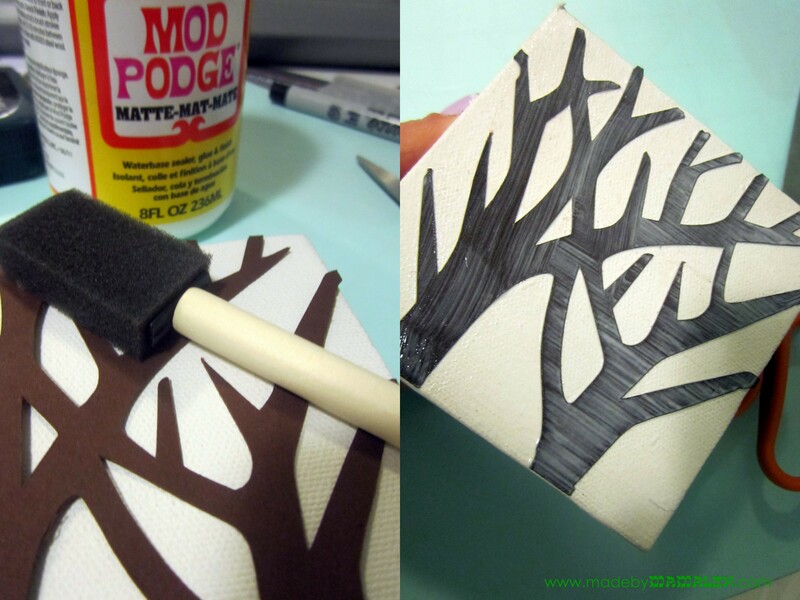 Once it was all lined up, I painted more Mod Podge on top completely covering the tree and allowed it to dry. 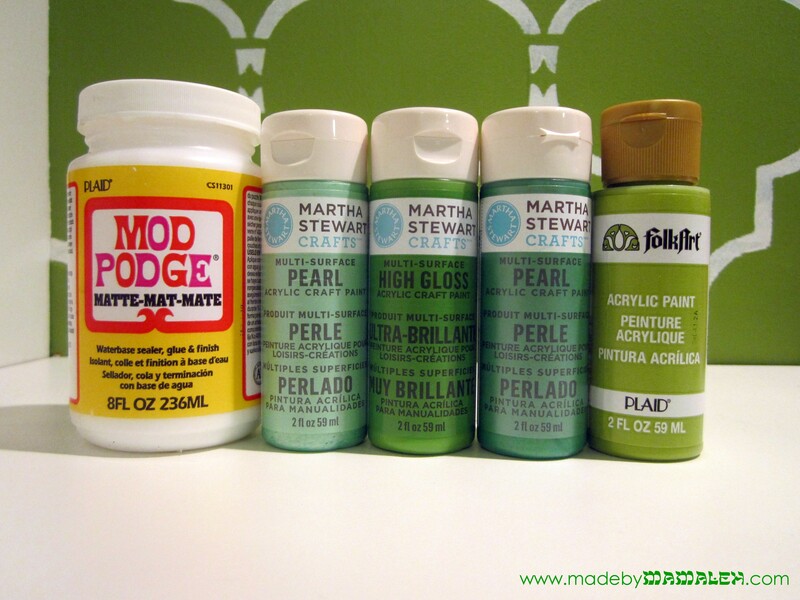 The application of the Mod Podge is a totally kid friendly activity since there is no precision required, just make sure the canvas is covered. For the next step, I selected four different shades and finishes of acrylic paint since I wanted depth of color and texture. To apply the leaves, rather than have my son dip his finger in the paint (and get too much on), I applied it to his finger using a foam brush and then let him fingerprint the leaves. No special order, just mix up how often you print each color. We both took turns doing this and going all over the top of the tree as well as the top and sides of the canvas. 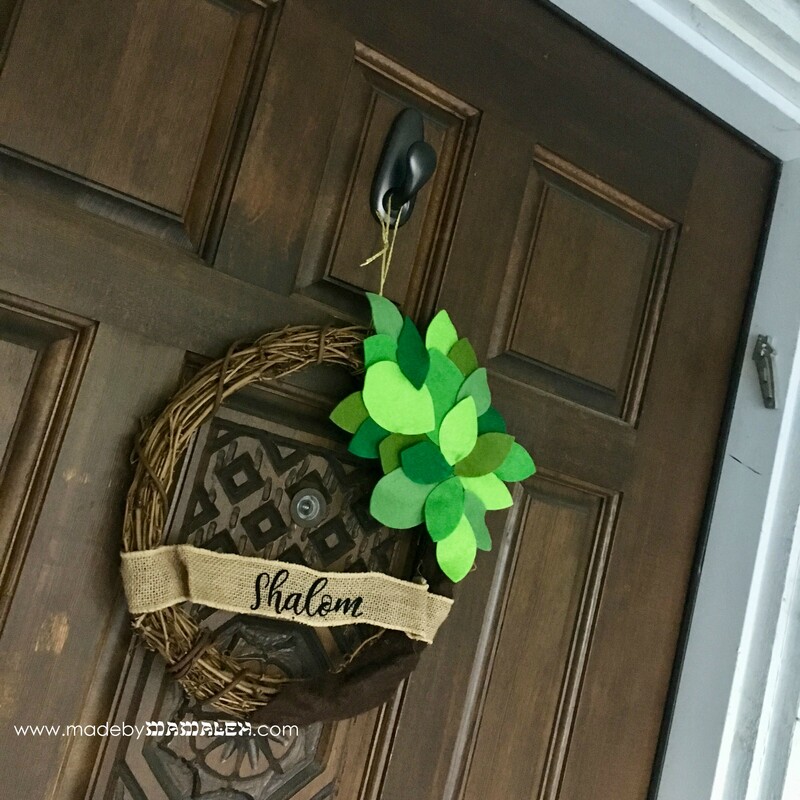 Once the tree was filled in, I left this to dry for a bit as I worked on the final piece, a die-cut banner that said “Happy Tu B’Shevat!” which I created using the print and cut feature in Silhouette Studio on kraft cardstock. 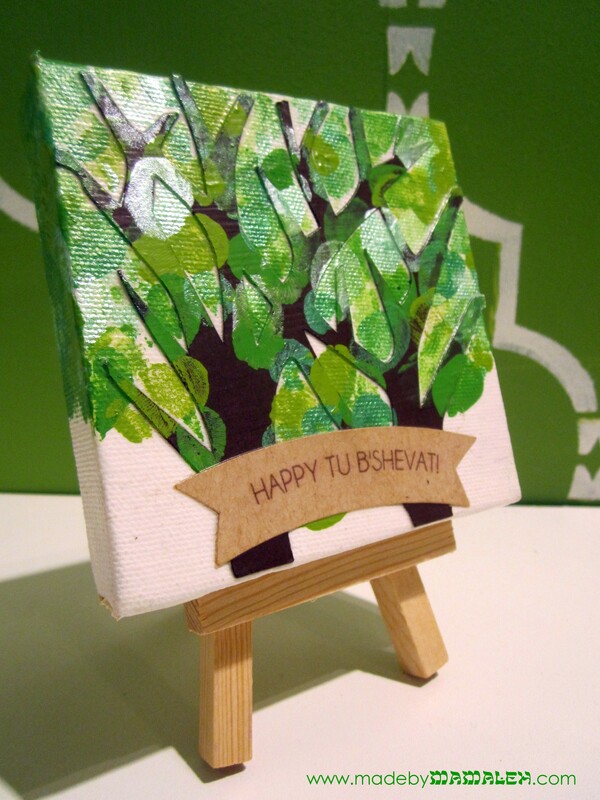 I then positioned this where I wanted it using the Mod Podge and gave the whole piece a couple more coats to finish it off and ta-da: kid-friendly, yet simple and chic mini-canvas decor for Tu B’Shevat for year’s to come!